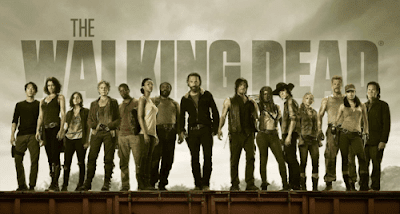 Current Walking Dead showrunner Scott Gimple has proven his worth with the continued success of the zombie soap opera on AMC. However, he may have alternate plans for the series down the line. When asked about turning it into a theatrical event, he had this to say, "That question comes up now and again. I'm sure one way or another, one day, it'll happen. I think it would be cool." What that really means, we're not sure. But the promise of a movie doesn't seem too far off base considering how many other shows have made the jump from the tv to the big screen. He also joked about potential stars for the movie. "William Shatner for Rick. We'll get Edward James Olmos as Daryl. Hit all the big shows! Matthew Fox as The Governor." While the show definitely has years left to continue its current run, don't be surprised if this actually happens. I would definitely like to see this make the transition to theaters. Who knows when? But it will probably happen.